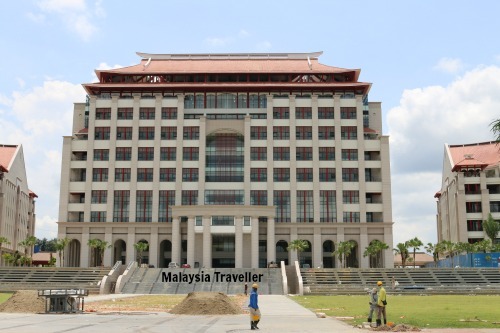 Xiamen University Malaysia Campus (XMUMC) is the latest foreign university to set up a presence in Malaysia with the first intake of students commenced in April 2017. Xiamen University was established in the southern Chinese coastal city of Xiamen (formerly Amoy) in 1921. Its founding father, Tan Kak Kee, was a successful overseas Chinese businessman who built a fortune in Malaya and Singapore in rubber, manufacturing, shipping and more. 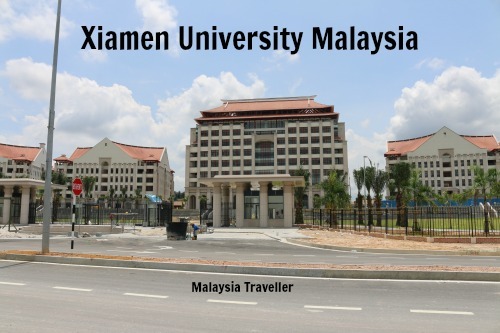 Since Xiamen University was his gift to the people of China, the establishment of a campus in Malaysia is the University's way of returning the favour, a way of giving back to provide educational opportunities to new generations of Malaysians and international students. Unlike other foreign universities establishing in Malaysia which begin small and add facilities as demand picks up, XMUMC has taken a big-bang approach and built the entire campus in one go with all the facilities up and running for the very first intakes of students. These photos were taken in May 2017 and you can see that the buildings are complete with just some finishing touches being added. It is a huge and impressive campus covering 150 acres and a built up area of 470,000 square metres. The design, if not quite a replica, is strongly modelled on one of Xiamen University’s campuses in Xiamen. The roofline has traditional Chinese architectural characteristics and is visible from a long distance away. Prospective students should refer to the official website for details. The medium of instruction for most programmes is English. 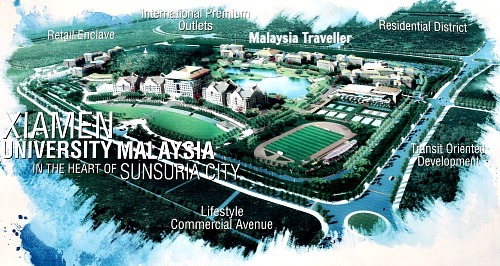 The university is located in the new Sunsuria district of Kota Warisan (Salak Tinggi KLIA Transit station) not far from KLIA. 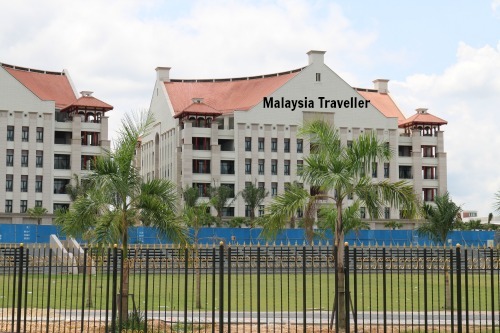 Soon it won't be necessary at all for Malaysians to have to go abroad to obtain their internationally recognised degrees. Whether that will help to stop Malaysia's brain drain problem remains to be seen. Some students might still prefer to get the overseas experience.